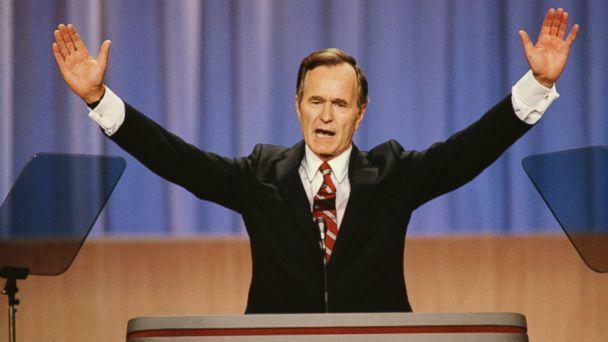 (Yahoo) Former President George H.W. Bush dead at 94 originally appeared on abcnews.go.com. 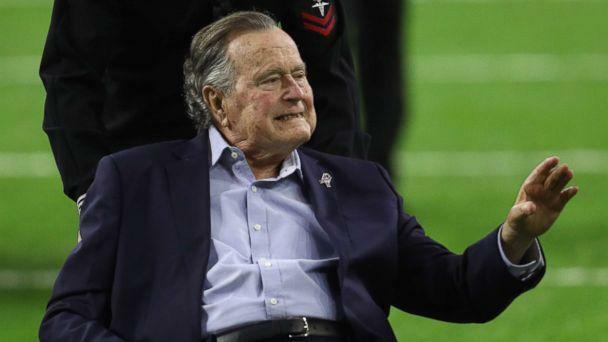 George Herbert Walker Bush, the 41st president of the United States, has died at age 94. His death was announced by his family Friday night. The president’s health had been in decline in recent months. The family said funeral arrangements would be announced “as soon as is practical.” President Donald Trump sent a lengthy statement just past midnight on Saturday on behalf of he and first lady Melania Trump. 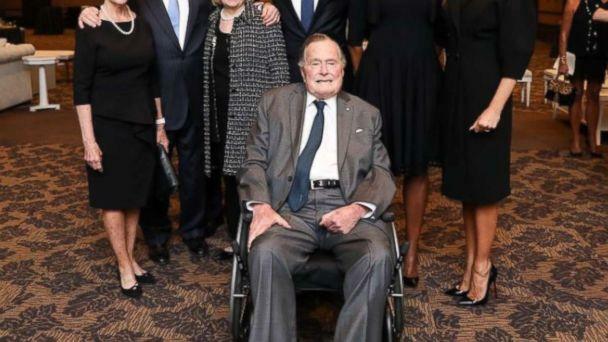 The former president had several health scares over the past year, including one just days after his wife’s funeral. 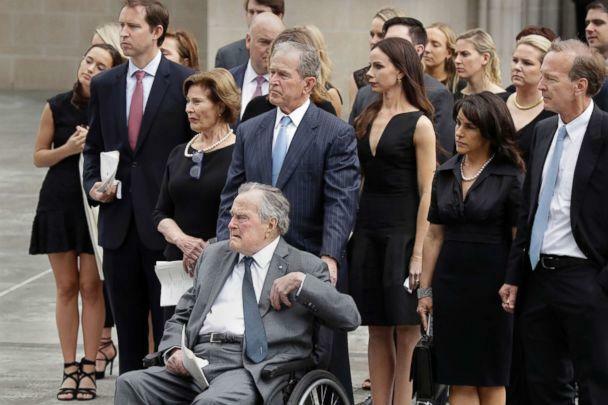 Bush was admitted to Houston Methodist Hospital with a blood infection on April 22 — two days after the funeral for his wife of 73 years, former first lady Barbara Bush. He served two terms as President Ronald Reagan’s second-in-command and became the first incumbent vice president to be elected president since Martin Van Buren in 1836. But Bush’s tenure in the White House was limited to four years. He was defeated for re-election by Democrat Bill Clinton in 1992. A weakened economy, a limited domestic agenda and a broken promise against raising taxes contributed to Bush’s defeat. 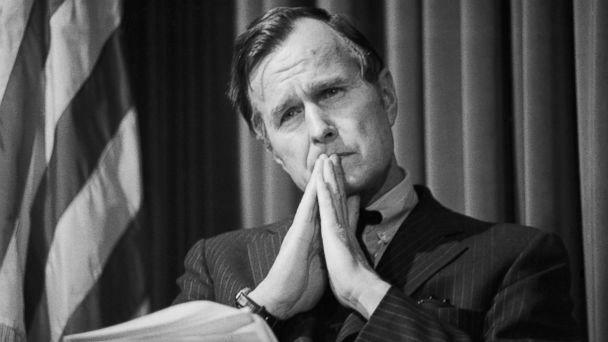 Bush was a one-time oil executive who spent years in government service, including terms as CIA director, ambassador to the United Nations and liaison to the People’s Republic of China. He was also elected to the House of Representatives as a congressman from Texas. Following his time in the White House, he and his wife moved to Houston, where they led a relatively quiet life. In 2017, the former president was admitted to the intensive care unit at Houston Methodist Hospital to “address an acute respiratory problem stemming from pneumonia,” according to his office. But politics eventually came to be the focus of Bush’s life. He made his first foray as a candidate in 1964 with an ambitious but unsuccessful run for the Senate. 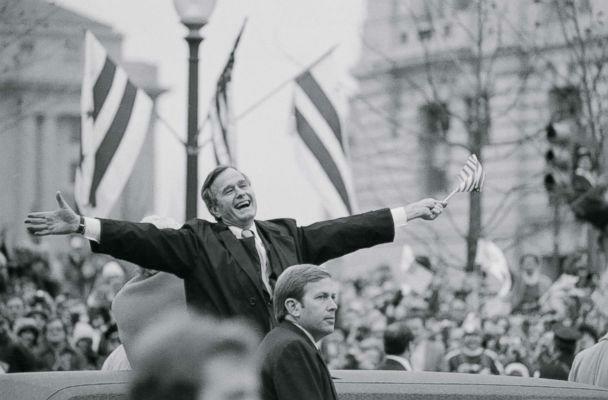 Two years later, Bush was elected to the U.S. House of Representatives, where he cast a vote in favor of President Lyndon Johnson’s program for open, nondiscriminatory federal housing. 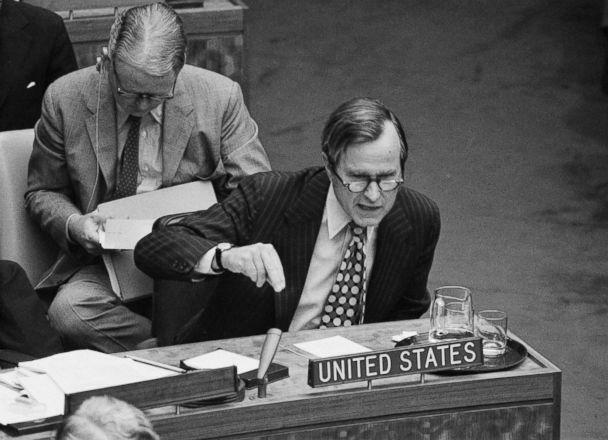 Following his 1970 defeat, Presidents Richard M. Nixon and Gerald R. Ford appointed Bush to a variety of high-profile positions: U.S. ambassador to the United Nations, chairman of the Republican National Committee, liaison to the People’s Republic of China and director of the Central Intelligence Agency. 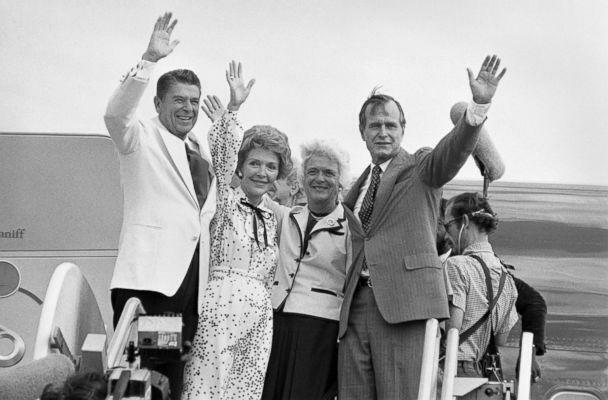 In 1978, believing that Carter was vulnerable, Bush began his first campaign for the White House. Despite an early win in the 1980 Iowa caucuses, Bush’s campaign quickly lost momentum as Reagan overtook him to capture the GOP nomination. During the campaign, Bush described Reagan’s plan to increase federal revenues by lowering taxes as “voodoo economics.” The remark got Bush needed coverage on the campaign trail but came back to bite him when Reagan chose Bush as his running mate and Bush had to become a cheerleader for Reagan’s economic plan. Bush’s eight years as vice president were spent mostly in the shadows. He headed task forces on stopping the illegal drug trade and reducing federal regulations. But it was Bush’s participation in meetings of the National Security Council that threatened his political career. The Reagan administration secretly carried out the illegal sale of arms to Iran so the proceeds could be funneled to rebels fighting a Marxist government in Nicaragua. In 1988, Bush ran to succeed Reagan with two catchphrases. He spoke of creating a “kinder, gentler nation” and he told voters, “Read my lips, no new taxes.” This last promise would become a problem for him; eventually he would break his word. As president, Bush’s greatest successes were in foreign policy. He built on the relationships he developed as Reagan’s vice president as well as in his past life as a diplomat. 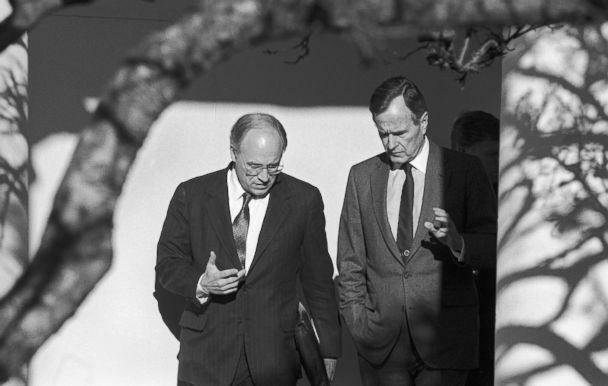 Bush assembled an international coalition and got the U.N. Security Council to demand Iraq’s immediate withdrawal from Kuwait. The council authorized the use of force if Iraq stayed put. It was the first time since World War II that the United States and the Soviet Union were allied in a significant international crisis. When Hussein refused to move, Bush succeeded in getting a reluctant Congress to authorize force. The day after the U.N. deadline ended, Bush launched “Operation Desert Storm” — six weeks of round-the-clock air strikes followed by a 100-hour ground campaign. Iraqi forces left Kuwait and Bush enjoyed the highest approval ratings of any president — 91 percent in March 1991. 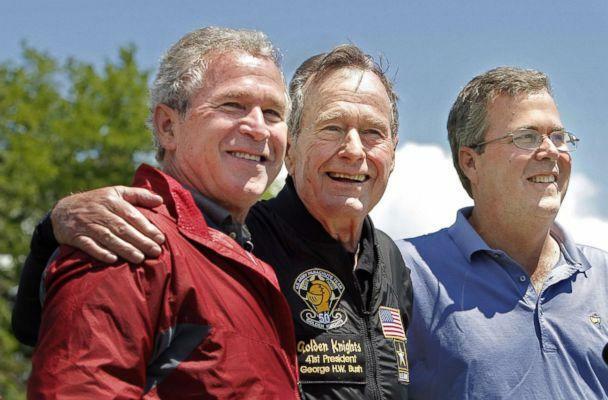 “No president was ever better served by his foreign policy team,” Bush said at the event. The emir of Kuwait, Sheikh Sabah Al-Ahmed Al-Jaber Al-Sabah, cited Bush’s “decisive action” in 1991. “The world is a safer place thanks to Desert Storm and to the strength of the international community’s response to Saddam Hussein’s aggression,” he said. A major crisis in the savings and loan industry happened early on Bush’s watch, and taxpayers were left paying most of the bill. Bush took a hit in his support among American women when he nominated Clarence Thomas for the Supreme Court and a former employee of Thomas’ claimed he had sexually harassed her. In the end, nobody was happy. Democrats said the tax hike hit the poorest Americans hardest. Republicans hated the capital gains retreat. In the 1992 primaries, Bush faced a surprisingly strong challenge from the conservative political columnist Patrick Buchanan. In the general election, he lost votes to H. Ross Perot, a populist third-party candidate. And Clinton, the Democratic nominee, proved to be a masterful politician. The fall campaign was intense — Bush once called Clinton a “bozo” from the stump — but the two men later became friends — raising money for victims of the devastating 2004 tsunami in Asia and then more than $100 million for Hurricane Katrina relief in 2006. 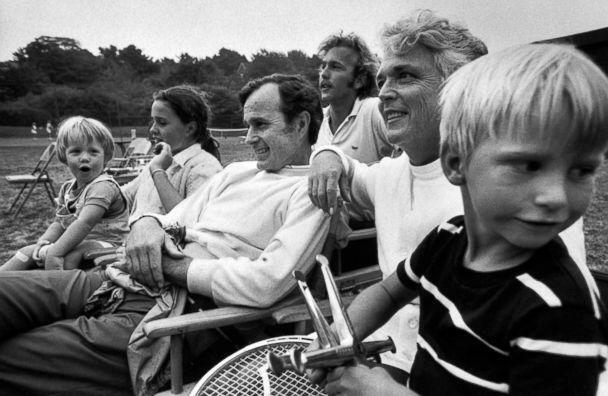 The newest member of the family at the time was Bush’s great-granddaughter, Georgia Helena Walker Bush, who was born in summer 2011. “I have a little worry that I won’t be around to see her grow much older. But it’s not a fearsome thing,” the former president said. “I’ve wondered about [heaven]. Who you see when you get there. Who do you look up? How do you find them? There’s a lot of people there. Maybe you look around, find some didn’t make it, too. … I don’t know how that works. I don’t think anybody knows,” he said. “I don’t fear it, though. 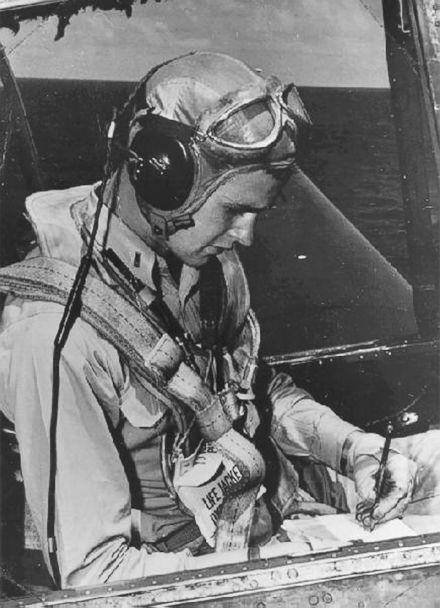 Bush’s life story was also the topic of an HBO documentary titled “41,” which premiered in June 2012.